From the ’50s playsuit to the revolutionary miniskirt of the ’60s, some trends are simply too good to retire. And while they were originally introduced as the next best thing, their immense popularity garnered them ultimate staying power. And for that, we think they’re worthy of us taking notice. Here are our eight favorite fad pieces that are now timeless in style. Once fashion’s most daring hemline, the miniskirt is now an iconic fixture. From the runway of Miu Miu’s F/W 15 collection to the Alexa Chung effect, wherein the style star brought back the button-front style, shorter lengths are undoubtedly here to stay. There’s something inexplicably ladylike about cat-eye sunglasses. Worn on famous ladies from Marilyn Monroe to Miranda Kerr, the popular ’50s-style frame still holds its classic elegance today. Hailing from the ’50s, these ankle-grazing trousers have remained in vogue for one very simple reason: They’re universally flattering. The length of the pant leg has a slimming effect. Bonus style points for pairing with a pointed-toe heel! From Brigitte Bardot to Jane Fonda, gingham print has seen its time on numerous iconic faces. But the summery cousin to plaid seems to never go out of style, coming back in full check each season. Dating back to the 16th century (really! ), ballet flats are one trend that is here to stay—and our stiletto-ravaged feet couldn’t be more thankful. The shoe was made popular in recent history by movie star Audrey Hepburn, who wore a pair in the 1957 film Funny Face. There’re few all-American staples as classic as the jean jacket. A representation of youth and rebellion, the piece has been seen on the likes of Kate Moss and Madonna and will forever be on trend. Thank Grace Kelly for this one! Silk scarves have been a classic, go-to accessory for women for decades. We’re particularly smitten with the piece tied as a neckerchief or knotted at the wrist. Whether you call it a playsuit or a romper, the shorter version of the jumpsuit has been in rotation since the ’30s. What’s the secret to the style’s popularity? When done right, the flattering silhouette accentuates the waistline for a perfect hourglass figure. Think we missed something? Tell us which trends you would add to our list by writing in the comments below. 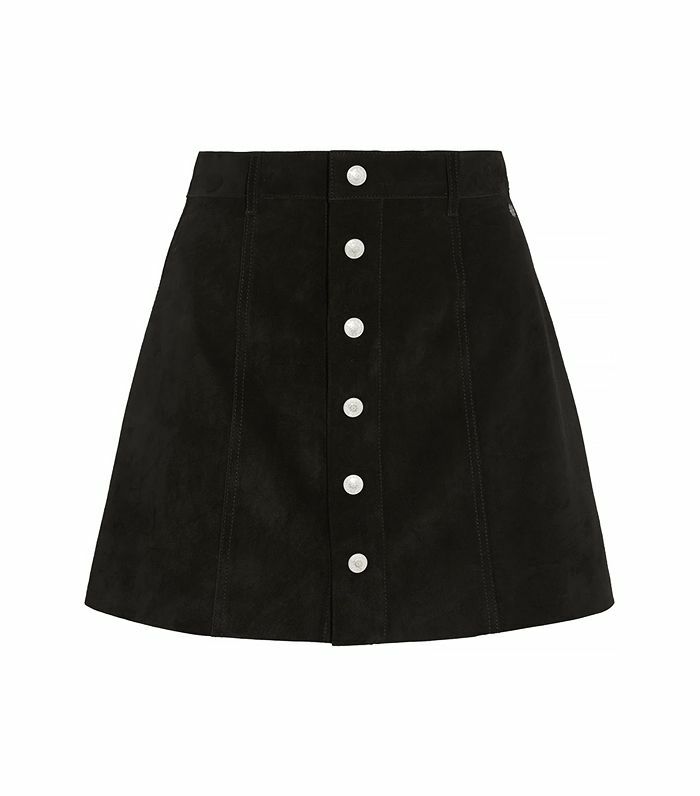 Plus, shop our roundup of our favorite miniskirts to wear this season now!